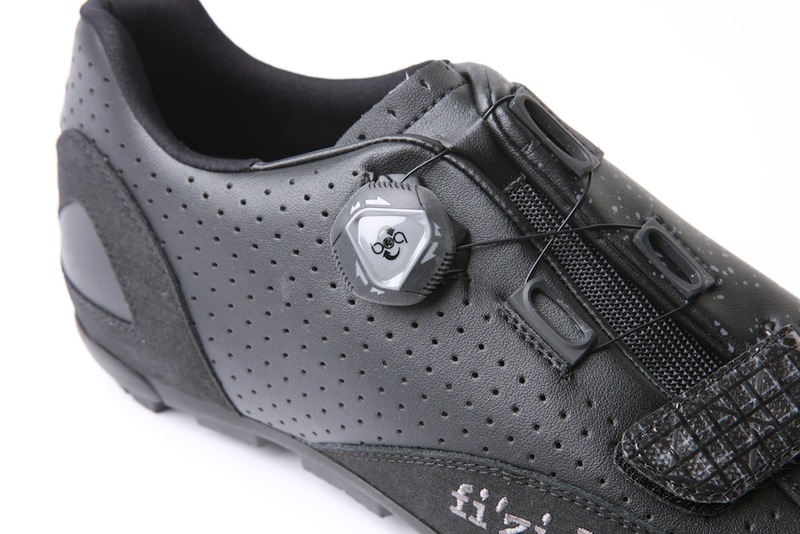 Fizik has been broadening its range of cycling components and clothing over recent years and moved into selling cycling shoes in 2010. Last year it started to offer versions of its most popular shoes with boa fastenings and this year boas have taken over, with one or more featuring on all its road and MTB shoes. The M5B is a two-bolt shoe, suitable for MTB type pedals on cyclocross and adventure road bikes, which I’ve been using it to ride. The sole is made of carbon-reinforced nylon and there are reasonably aggressive lugs which give secure handling in slippery conditions, with the option of screwing in studs for a bit more grip if required. 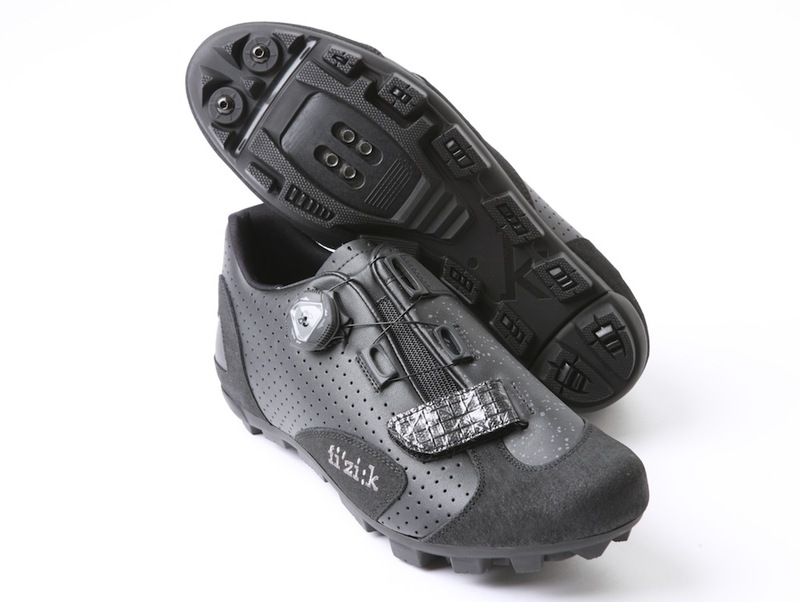 The M5B sits in the middle of Fizik’s MTB shoe range, below the M3B which has a carbon sole. Like the M3B, the upper of the M5B is made of laser perforated microtex, which is also the material used to cover Fizik’s saddles. There are anti-scratch leather reinforcements around its sides to protect against scuffing. The heel cup is quite high and there’s a good width and volume to the forefoot. I found that my heel lifted a bit unless I had the Boa closure well screwed down, but once adjusted the shoes were comfortable and gave a stable footing. I did find them a little warm in summer conditions though, due to the limited ventilation provided by the perforated uppers. There’s a bit of flex in the sloe, which is good when off the bike, but not so much that I noticed any impact on pedalling efficiency. Come the winter, I’ve found that warmth welcome in wet conditions. I have been happy to ride through the mud and puddles without my feet freezing or my toes dropping off. The synthetic uppers dry well, even when completely drenched.